Performapal Monkeyboard: We all saw this hit coming. Monkeyboard is a 1-card pendulum scale, which is something Konami keeps learning (See Qliphort Scout and Pendulum Call) is really really bad, because consistent pendulum summoning is actually just unfair. As Monkeyboard was already hit this was hit was all but assured. Kaiser Coliseum: Ok, I never would’ve expected this hit. Kaiser Coliseum is an unfair card. It’s a one-sided floodgate with no drawbacks. That being said. This card shows up literally once a year in a janky stun deck at best. While Kaiser is perhaps the easiest lockdown card ever printed and arguably does deserve a hit… I really just can’t see why and now to be honest. Cir, Malebranche of the Burning Abyss: B.A. has to die. Cir + Dante is strongest 2-card loop possibly in the game. I hope Cir to 1 actually hinders that, but I highly doubt it. Ehther, the Heavenly Monarch: Well… I didn’t see this coming. Ehther is actually the best monarch as she gets you Kuraz which is one of the strongest plays in every monarch variant. Furthermore, Ehther also opens up disgusting Stormforth plays on the opponent’s turn that were both too strong and too confusing to follow. Good hit Konami. Kozmo Dark Destroyer: Yes…yes….yes!!! This is the hit I wanted to Kozmo. Yes Tincan provides unfair amounts of value and yes Kozmotown searches anything, adds back all the monsters and provides mulligans…. Ok maybe they both needed to go too, but Dark Destroyer is one that actually kills you. This 3000 attack essentially hexproof beater was the bane of every player not running Kaiju/Cyber Dragons. Dark Destroyer is the poster child of powercreep in Yugioh. I’m so happy to see it finally restricted. Majespecter Unicorn – Kirin: You know I wrote literally a few hours about why I hated this card and wanted it hit. Honestly, with Majespecter Raccoon Bunbuku still at 3, this hit probably means nothing, but I appreciate the thought as this card is way too strong. Beatrice, The Lady of the Eternal: Now this I don’t like. Dante is still at 3. Yes, Beatrice is a problem card. She’s pretty much just Lavalval Chain that’s harder to make outside of its archetype. However, Dante at 3 means Burning Abyss lives to be meta for another format. 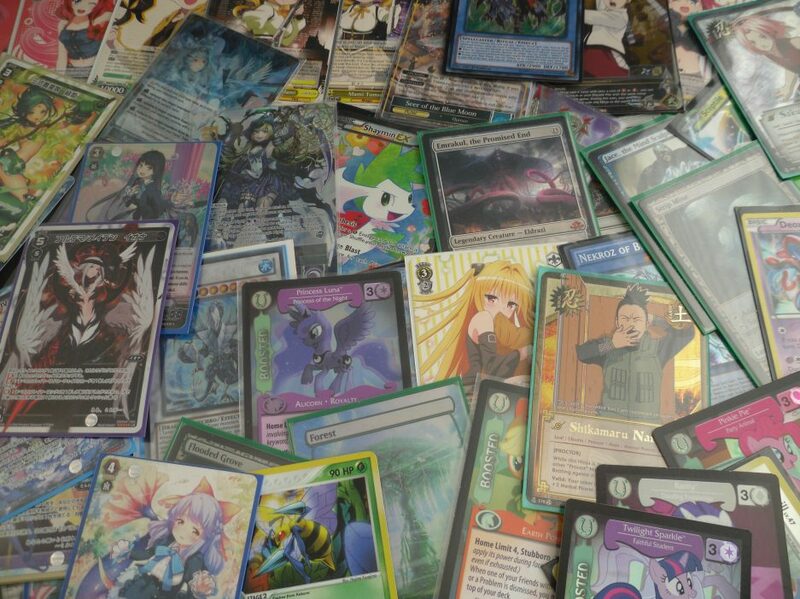 As a bitter Nekroz, Satellarknight and Shaddoll player I somewhat loathe that only one of the decks from September 2014 is still meta to this day and that it’s not one of the aforementioned ones. Anyway, this at least hurts the deck quite a bit. Emergency Teleport: RIP any deck using this OTHER THAN KOZMO. This is toolbox for more cards than I or anyone else cares to count. It’s a very strong card that I can understand going to one. Also in case it wasn’t already obvious this hit only occurred thanks to Kozmo. Pantheism of the Monarchs: A friend I respect as a duelist once said “This card is a slap in the face to fair card design.” He was very right. This card is Destiny Draw with more a search effect that’s actually not fair at all. You can just reveal 3 copies of Tenacity to get whatever you actually want anyway. No complaints here, RIP Monarchs. Pendulum Call: Most likely limited for the same reason as Monkeyboard. It’s not as powerful a 1-card pendulum scale, but if konami is just killing them all then there’s no reason for P-call to be spared. This is the best hit in ages. This card is actually one of the most degenerate cards in the game. I don’t think I need to go into detail and also I’m way too tired to even try, but I think the fact that Stormforth doesn’t target nor have a real downside is all the reason needed to hit it. That being said RIP monarchs I’m sure many a budget player and many a high roller are crying right now. Maxx “C”: I have no clue how to feel about this. Maxx C feels like one of the few cards in Yugioh (the whole game) that allows for fair player interaction. If you want to establish a huge board, then the least you can do is give me a few cards in exchange. Or you can simply stop and pray to go off next turn. I don’t think there was anything unhealthy about that. I also remember from painful experiences all of the times I’ve had to set Maxx C due to bricking, poor match-ups or drawing multiples. This hit is probably fine. Thunder King Rai-Oh: I never thought I’d see this card at 2. This card stands against literally everything modern yugioh has become (searching cards and inherent summons from the extra deck). I’m very happy to see Thunder King return. Allure of Darkness: Well that’s foreboding. Gold Sarcophagus: I’m not sure this needed a hit after the Dragon Rulers were banned unless I’m missing something. If you can stash your combo piece and then survive 2 turns to get it in this day and age you deserve it along with a medal. And that’s the whole list. Thoughts before I pass out? Well this list shakes up the format, but also leaves alot intact. Burning Abyss and its variants are far from dead. Kozmo and Monarchs are however dead and likely buried. Blue Eyes decks and Card of Demise Variants are looking to be very strong in the coming format. The yugioh world championship occurred last week. Shunsuke Hiyama of Japan won the final round of the tournament over America’s Erik Christensen in a Blue Eyes mirror match. If you’re here, then you’ve probably already seen the cringe-worthy 14 minute final match wherein Erik bricks 2 games in a row and loses never even summoning a single Blue Eyes. It was a regrettable finale, which came after an otherwise swell event. However, it’s also lead me to speculate on what’s going to happen to the yugioh format in the near future. First of all, this year’s championship will likely give us the 2nd year in a row that the deck to win worlds doesn’t get hit on the banlist. Last year Tellarknights took worlds and the worst they got was a limitation of Reinforcement of the Army. Blue Eyes is looking to be the new meta. The deck was highly represented in the feature match area and easily dominated the event. It’s not getting touched or at least not in a direct manner. Burning Abyss and Monarchs despite being crippled by the world’s list were still played and saw relative success. I’m taking this to mean that even once we (in the TCG) inevitably get the hits to Dante and Pantheism that both decks will still be viable, but hopefully not format-dominating. I mean they got a lot of camera time. The hexproof little critters saw quite a bit of play though it may have just been due to the world’s list. By the way this is a mini rant, but Majespecter Kirin is a terribly designed card in that it’s own archetype can’t even use it. This thing is lv 6, but the highest Majespecter scale is 5. I’ve legit never seen this thing tribute summoned. I’m sure it could happen, but it seems horribly sub-optimal. I bring this up because this card is WAY too strong and deserves to be hit on the banlist, but likely will be ignored similar to Apex Avian before him (both are cards that only with the mechanic of the Pendulum Summon are really unfair, but somehow not consistent enough to hit). Anyway, I don’t have much more to say. I’m really looking forward to the banlist to shake up this very very stale metagame. Thanks for reading as usual. Well, FoW made the actually good decision to ban Reflect/Refrain from competitive play. Obviously, this is major news for the game and brings with it a myriad of pros and cons to discuss. And that’s about it. The problem is that banning Reflect by itself isn’t enough for me to return to this game. Now don’t get me wrong, this decision overjoys me more than anything FoW has done before. It was a good decision that makes the game better for everyone who is still playing the game. IF this happened say 2 months ago, I’d still be all about Force of Will. Sadly this is just too little, too late. Why I’m Quitting Force of Will and why you should too! So as I alluded to yesterday I’m pretty much done with Force of Will. I’ve had 0 desire to invest anymore into this game, much less play it on any competitive level and barely can resist selling my collection. I place all of the blame for these feelings on the terrible decisions that the company managing the game has made over the course of the last year or so, specifically in regard to one obvious card. Let’s take a quick look. I wasn’t kidding when I said Reflect ruined this game for me (and I assume many others). This card was (and probably is) too powerful for the game. It provides more free utility than any other J-Ruler. While some rulers if they’re lucky have 1 effect on their Ruler Side, Reflect here has 3. Did I mention it J-Activates for 0? Did I mention it can return to the Ruler side also for 0? They had to print a card for the other rulers to have such a luxury. Forget that everything Reflect does it already amazing, Refrain bounces creatures, counters spells and tutors any card from the deck. Sure you need a few magic counters to do it, but we cares? You get counters for using Reflect’s busted filter ability to fix your hand. If you’re not convinced that this is the broken, let me tell you it’s gets worse. They had to errata this card mid-season just because it was so overpowered. Now I want you to recall all of the stupid abilities I just mentioned (on Reflect) can you imagine doing them on both player’s turns? Then take it a step further and imagine both players using Reflect both tossing broken effects back and forth racking up counters for Refrain. I played this format, it was the highest form of card gaming cancer. Reflect warped the competitive scene of this game. The “Wonder Twins” became the only general to consistently win any tournaments (here’s some anecdotal evidence however, please keep in mind that Reflect taking 15 of the top 16 slots at a tournament is a fairly common occurrence). Soon every event was generally 70% Reflect players who easily crushed the one to two scrubs still playing Grimm, Slyvia or Lumia. Now other rulers saw play and still topped, but an incredible wedge grew in the community. There were the people like me who saw one ruler controlling the meta as a bad thing and called for a ban on Reflect (probably all of those with a ygo background can understand that feeling). However, the rest of the community was divided into players who either didn’t care and wanted to play with their broken ruler or players who thought that Reflect could be beaten by simply “brewing” a better deck. The problem was that Reflect can’t be beaten by “brewing”. Reflect just provides more free utility than any other ruler making it the safest choice for competitive play. Also due to Force of Will ingeniously not putting any freaking mana costs on anything Reflect does, you can play it in any deck shell. Aggro, cool Reflect pumps Lancelot. Control? Cool Refrain bounces creatures and counters spells! Combo? Refrain tutors your combo piece for you. If all of this wasn’t enough for you understand why Force of Will is dying then let me show you the lasting effects of printing Jace, the Mind Sculptor in a Standard set and quietly walking away. No ruler has been as popular as Reflect on the competitive scene nor have they printed a ruler close to Reflect’s power level. I still remember the night my playgroup first read Gill Lapis. We all thought he was broken. I mean he taxes regalia essentially taking 28 regalia out of the meta and he steals up to 3 cards from the opponent’s deck?! That’s broken! He’ll be tier 1 right? No. Gill Lapis is and has been garbage alongside almost every ruler since Reflect. I’m not saying I dislike any of them as cards. I love all of the rulers from Alice block for their flavor and effects, it’s just that Reflect is better than literally all of them. So when we finally get a card that could stop Reflect (by which i mean literally just Refrain if the player using it has gone completely dumb) it comes with the caveat of making literally every other ruler unplayable as they all just auto-die to this trash. I don’t know what on earth they were thinking printing a card like this. It actually makes Reflect better as you can just use the ruler side abilities and never even bother flipping. And so I’ve come to decent stopping point as to why this game is awful, the direction its taking is awful (This can be a rant for another day as to how all of the new art designs and mechanics are just a joke) and why I no longer want to collect it. Now just to be clear I really liked this game and still do like it. This is basically just Magic the Gathering with no mana screw and cuter characters. Still I can’t overlook the damage that one poorly thought out card managed to the entire game as a whole. I hope to continue to play this casually, but that’s about it. You may have noticed that I haven’t posted about the Force of Will card game in over a month, despite the fact that used to closely follow the meta, go to tournaments and maintain a “meta-ish” deck.